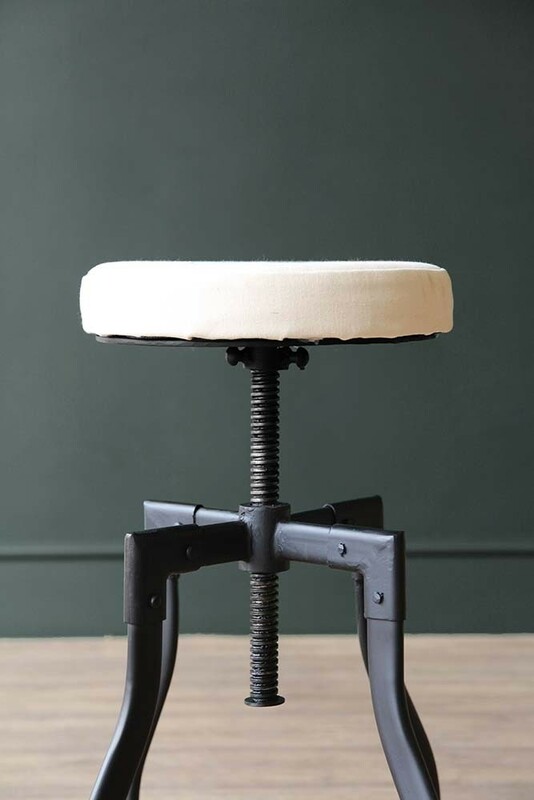 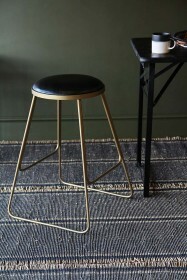 Part of the Rockett St George own-brand collection these adjustable bar stools were created with comfort and style in mind. 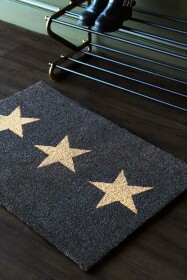 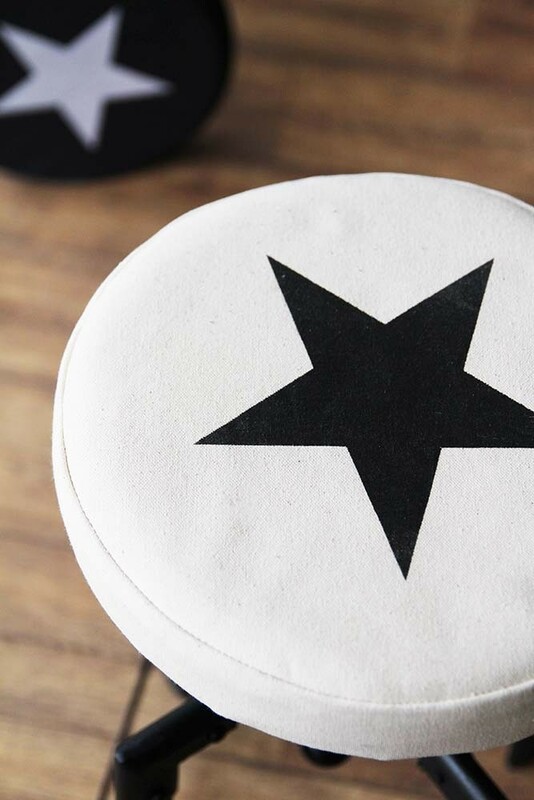 The white canvas seat is incredibly comfortable and the striking star design will enhance your home interiors without detracting from your décor. 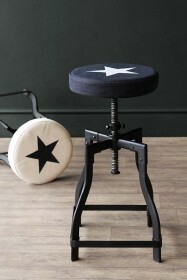 Style the Adjustable Bar Stool With Star Design Canvas Seat around kitchen Islands, next to your home bar or under your work desk for a practical and stylish seating choice! 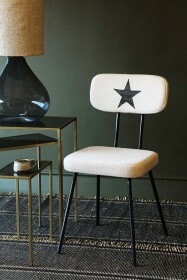 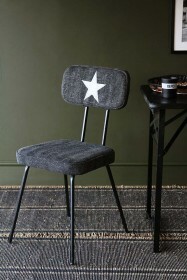 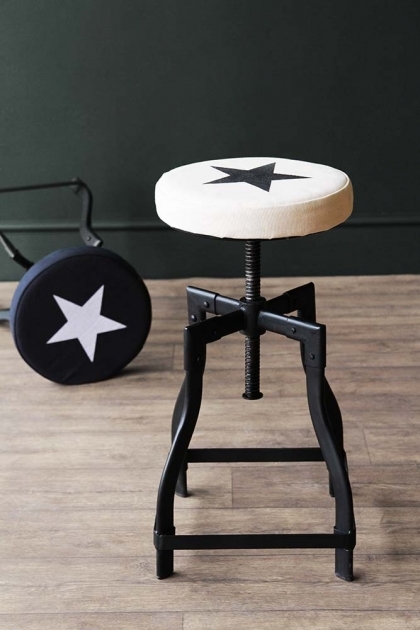 Available in Black or Off-White, the Adjustable Bar Stool With Star Design Canvas Seat is a wonderful pairing to our Star Print Canvas Dining Chairs too!